One of us had to hit the big 4-0 before the other and TechyDad is taking this one for the team. Today he turns forty years old and even wrote about it on his own blog. Please take a moment to head over and leave him some birthday wishes. It seems like yesterday when I was planning TechyDad’s 30th birthday. NHLwas a toddler, I had just gone back to teaching, and managed to get some of his co-workers to help me to schedule a little party at work. This year, I wanted to do something different. 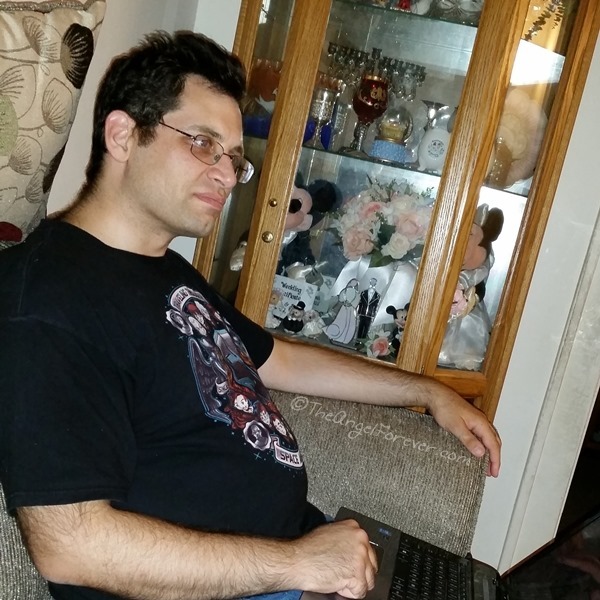 We have not been away in several years and TechyDad works so hard with his day job and also with freelance projects. He needs to get away, relax, and make memories with all of us. While we are not there right now, we will be going on a cruise for TechyDad’s birthday. I was not able to keep it a secret because I needed his help to get the time off from work. 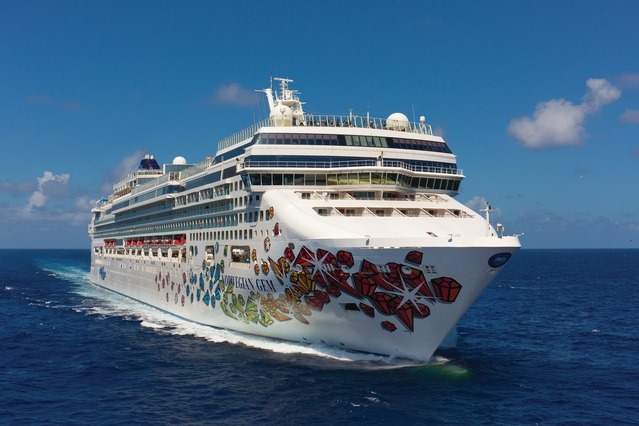 We have never been on a cruise before, so this is a big adventure for all of us. It only seems fitting to do something completely different as we both head into this next part of our lives together. 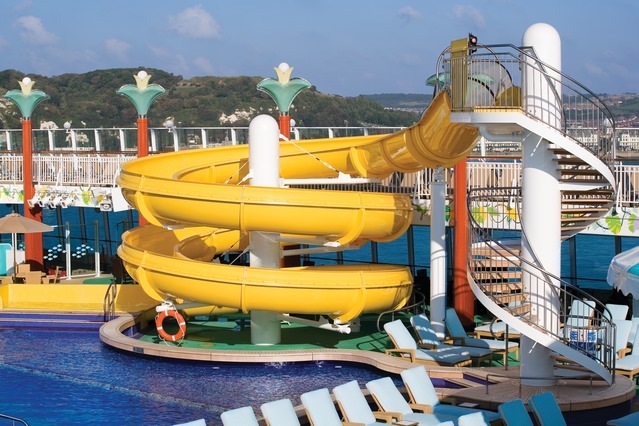 Watching the boys on the slide, playing in the sand, and exploring the ship will be priceless memories. Happy birthday TechyDad. I love you with all of my heart and am so blessed to have you in my life. Thank goodness I caught your message in that chat on that evening long ago. You are an amazing man, husband, and father. Looking forward to many more years together watching you grow older by my side. Eight years ago today, you came into the world and completed our family. Watching you grow up has taken my breath away at times. I think some of this is thanks to being able to see so much of myself in you. You get sarcasm and have certainly learned to dish it out in recent months. While most people think that you are so quiet and serious, I know a super silly and spontaneous JSL is hidden inside. Over the last year, you have grown up so much. Right before you turned seven you set a goal to learn to ride your bike without training wheels. You did this in a matter of days and were ready for a new bike soon after that. 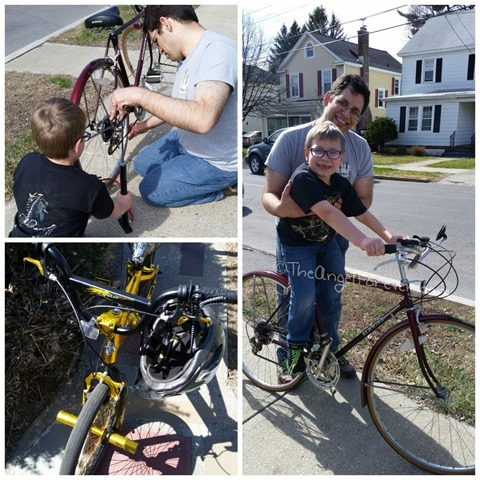 You love to ride your bike and were so excited when Daddy pulled out a bike to clean it off and ride with you. The simple things really do make you happy. Your love for the world of art and being an artist came out a lot over the last year. You beg to do art projects and ask for gifts that are related to crafting. It should be no surprise that when it was time to get your first pair of glasses, they could not be plain. No, you insisted on a blue pair because that is what an artist would wear. We also went to a local museum where your artwork was selected to be on display. You were SO proud of this accomplishment. In addition to this, you became quite the book worm this year. Out of the blue, you learned to love reading chapter books. Solo book reading opened up the world for you and you always have a book with you. Thank goodness you still like to read with me. We are reading the Harry Potter series together and it’s fun to watch your reaction to everything taking place. It should be no surprise that you also focused in on being more of a geek. You love Star Wars, Minecraft, Doctor Who, and superheroes. While you may drive me batty walking around humming the Imperial March, it makes me smile to see you move up from the Indiana Jones tune. Thank you for sharing these special moments with me JSL. I love you with all of my heart and am so lucky to be your mother. I can’t wait to watch you finish up second grade and continue to be excited to learn, write, explore, and create as an eight year old. 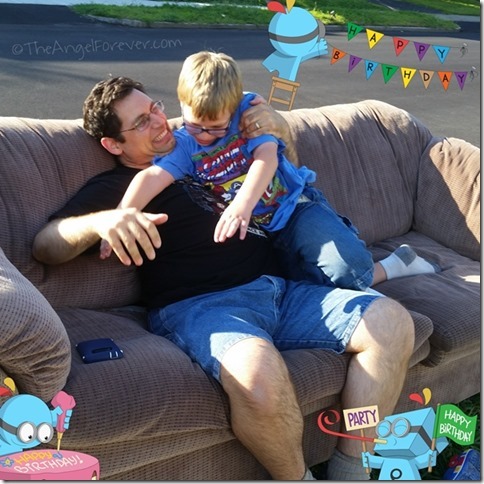 From the moment my oldest son was born, there were milestones that we had to think about. First was his bris when he was ten days old. Since we knew we were having a boy, we were able to plan a bit ahead of time for that. Next up, was getting NHL ready for school. PreK and kindergarten came quickly and required school adjustments along the way. Of course, he also started going to Hebrew School. Then, as we eased into elementary school the focus shifted toward getting ready for middle school. While that was a major priority in my mind, there was always something else making my thoughts race at times. Middle school means getting close to the teen years. This is a huge milestone in the Jewish religion. 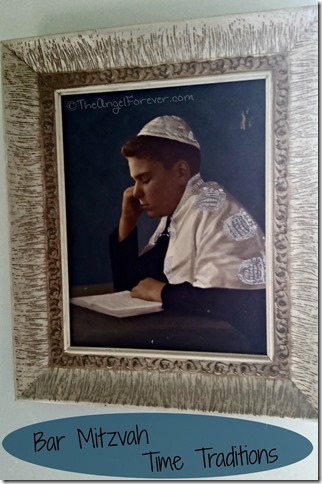 Boys start to focus on their Bar Mitzvah preparations at about the same time. Hebrew school is not enough and shortly individual lessons with members of the clergy will begin. As NHL turned eleven this summer, I knew the two year count down was on. Of course, with my internal count down and major denial shaking it off, I had to embrace the reality check. His birthday seemed to signal questions from some family and friends. They wanted to know if we had a date, time, location, and other details to share. No, we were hyper focused on getting the kiddo adjusted to middle school. The here and now trumped something two years in the future. In passing, I spoke with the rabbi about it and he told me to get in touch after the high holidays. Rosh Hashanah, Yom Kippur, and the rest of the autumn holidays came and went. Denial was strong. We have talked to NHL about his Bar Mitzvah. He has preferences and has made it clear that he does not want certain things to happen. He has also made a specific request. A reality check happened shortly before Thanksgiving. I saw the phone number of our synagogue pop up on my phone. What I was not expecting was our cantor to be on the line. *GULP* It was time to talk about his Hebrew Birthday. That is the magical date that is the first day we could even consider having his Bar Mitzvah. My brain was racing and TechyDad was still at work. I was not expecting the call, so it caught me off guard a bit. In the end, we found out the first day in 2016 that is acceptable for us to consider. We also know a day that someone else has selected that is out. What I never thought about was the likelihood of needing this big day to be right at the start of the school year. It now appears that we will have to think about juggling a Bar Mitzvah with the start of 8th grade. While I am sure NHL will be ready for this big day (whenever it is), I am not sure that I am ready for the planning, saving, and chaos that go together. 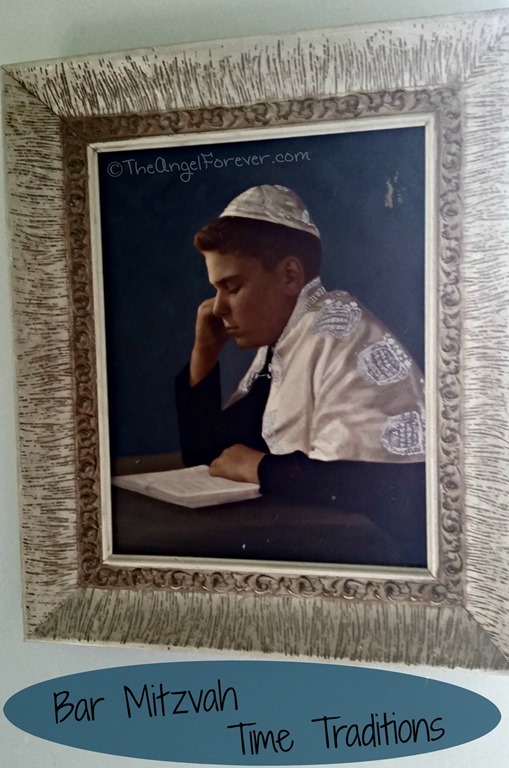 FYI, if you were curious about the picture above, that’s a photo of my father when he had his Bar Mitzvah. Just over fifteen months have passed since the world of braces became a reality for our family. NHL has had wires on his top teeth since the end of June 2013. While NHL has had some discomfort from time to time, we only had a few issues that were caused by pesky baby teeth trying to vacate his mouth. Over the months, we had to make two extra visits, and one emergency night trek to the orthodontists office. 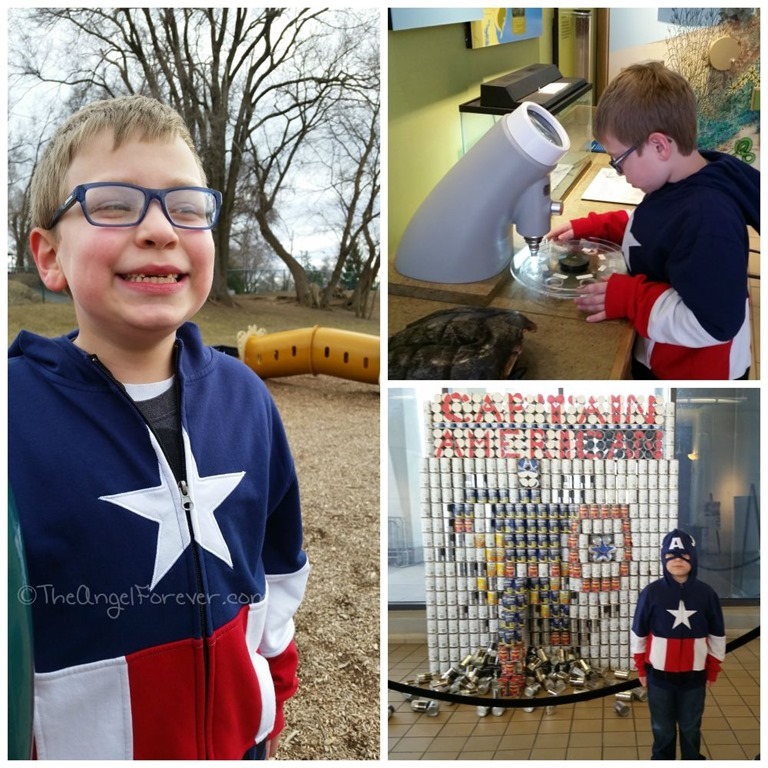 My kiddo was a trouper with what they did in his mouth and rarely complained. When he did in recent weeks, we knew something was up. A spring had sprung and was digging into his cheek. That resulted in his two front teeth shifting forward. For a few weeks, we were not sure if the braces would still come off as predicted. The weekend before a scheduled recheck NHL had his first wire pop. Of course, it was after 8:00 on a Friday evening. We called the orthodontist and he tried to explain how to shift it back into place to try to wait until Saturday afternoon. When we tried to do this, the wire popped out even more and NHL could barely close his mouth. So we met the orthodontist at 9:30 that evening. Even at that hour, he was amazing. We were given good news that NHL’s teeth had gotten back into the right position and the braces would still come off on October 6 (TODAY). A stronger wire was put on and we were told that it could not and would not pop. Care to guess what happened next? Yes, Saturday morning NHL came running into our room. As he was trying to wiggle a loose tooth, the giant wire came out from the bracket. The message for the orthodontist was pretty classic and one he will likely remember for a while. Wire cutters were bought and never used from Home Depot. Then, after a few hours, NHL figure out how to prop the wire up where it would stay and did not hurt him. Score! We were able to wait until our regular appointment two days later. Once again everyone in the office was amazing. The interesting part, nobody has a clue how the wire came out of place and did not break the bracket. Go figure! Now we have made it the last two weeks without another incident and NHL is already planning what he is going to eat once the braces are removed. He has been amazing with following the instructions/rules set. We managed to avoid other more invasive techniques to expand NHL’s palette, fix cross bite issues, and work on the tooth crowding. 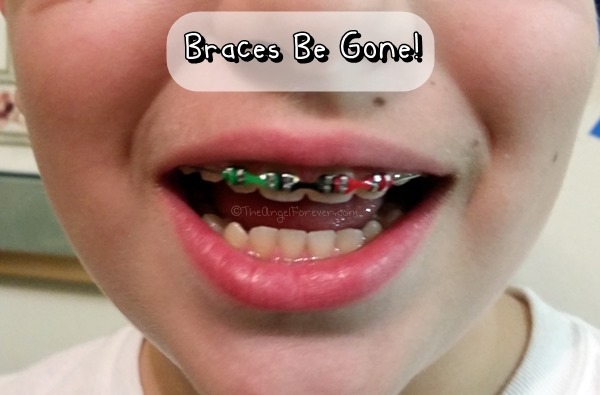 Thank goodness the braces did their magic with the amazing work of our orthodontist. Now, NHL will be wearing a retainer until it is outgrown and then we will see if a Phase 2 of braces will be needed. A lot will depend on how some of the last teeth fall into place. So I would love some advice from those who have had a retainer or had a child with one. What tips and tricks do you have to make sure they are taken care of properly at school, worn, and all that other fun and important stuff that I am unsure of? P.S. If you are looking for a fantastic orthodontist in the Capital Region, just let me know. The office that we go to is amazing to work with and everyone is so understanding with children that have special needs. 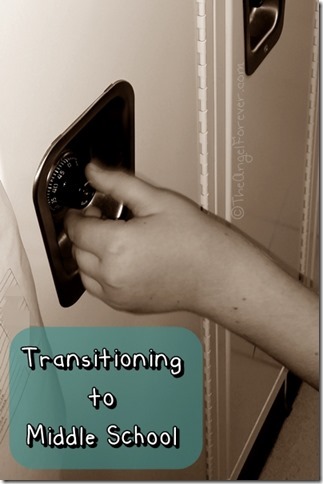 For years, I was preparing to send my oldest child to middle school. As a parent of a child on the autism spectrum, I felt like I had to advocate even more for this big milestone. One classroom and teacher in the elementary school would be a lot different than nine periods a day with just as many, if not more teachers. Middle schools are much larger, there are many more students, and it is a tough time developmentally for most if not all preteens. Without going into too many specifics, we had an amazing IEP for the start of middle school. Everyone at school greeted us at orientation with smiles and showed us around. The day before school, we went back in drop items off to the locker and make sure the lock was mastered. Each time we went to visit, the individuals at school were amazing. They knew my son, welcomed him, and eased my fears. The first day of school came and went with only parental nerves on edge. NHL was excited for a fresh start. He was thrilled to already have his schedule memorized. He could not stop talking about having Social Studies and Science every day. He came out of school with a smile on his face and I was able to breathe. 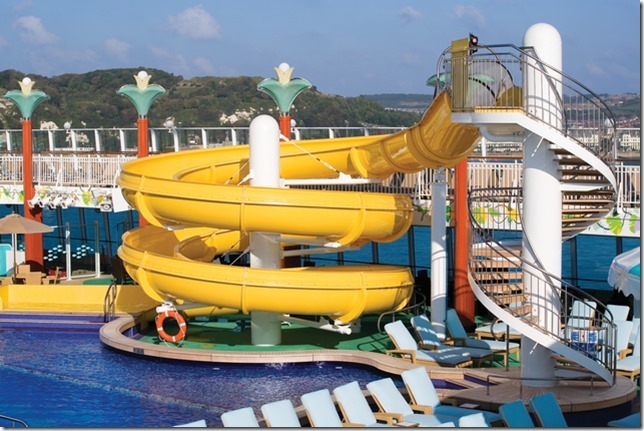 What TechyDad and I experienced the next morning shocked us. NHL hopped out of bed and ran into our room telling is to get moving because he wanted to get to school. 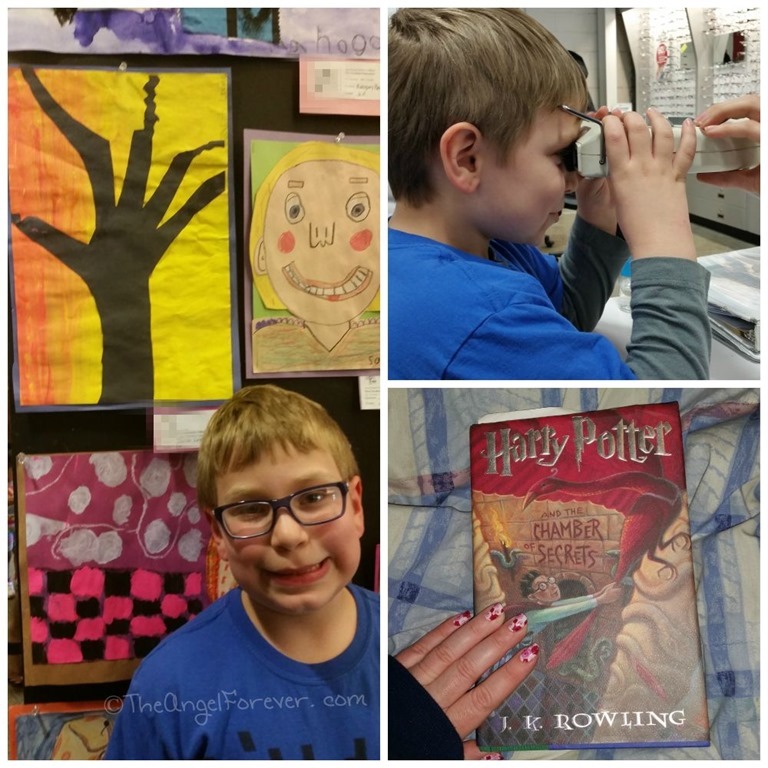 There was no hesitation, just energy and excitement to go and learn more from his teachers. This continued the following week. Each day, my son was more excited to go to middle school. 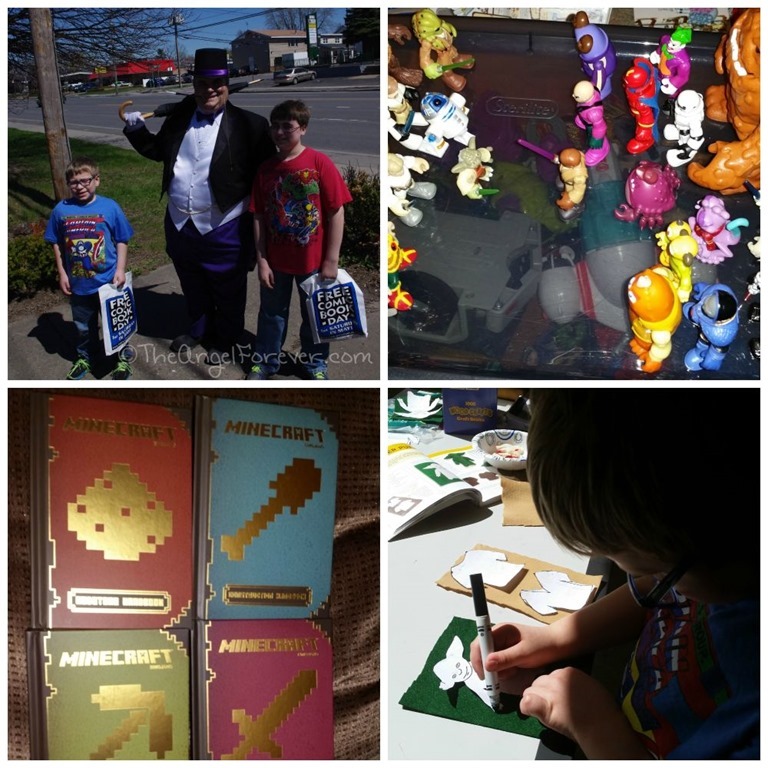 After I sent my son to school for the second full week, I did something that was important to me. I stopped to write a note to every member of my son’s team to let them know I was thankful. The middle school transition could have been a disaster. The reality was that because of everyone involved, NHL was off to a great start. As I pushed the send button, I was a bit nervous. After so many years of fighting for supports and struggles, I did not want to jinx anything. Still, it was the right time to cheer everyone up and let them know. As a middle school teacher, I know you do not often hear positive feedback. So I sent the email to the principals, several people in the Special Education department, and the guidance counselor. At the last second, I decided to add one more person. Yes, my note praising the team at the middle school for helping my son transition also went to the superintendent of our district. The responses from various people made me know that I did the right thing. It made me feel wonderful to know that I had made them smile and lifted their spirits. So why am I writing this post? My hope is that someone may read it and it will help them as their child is transitioning from elementary to middle school. While I know they are likely as worried as I was waiting for middle school to start, I want to reassure them that it may be just what the doctor ordered for your child. The structure of the day, the fresh beginning for each class period, and the mixture of different students helped my son. My Aspie adores knowing his schedule and not having to worry about changes within a single classroom. The structure of middle school allows that and so far he is doing very well. Sure there will be bumps in the road, but with the support of his team and open communication this experience could open up the world for my child.